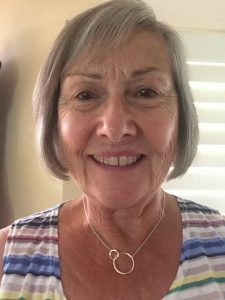 The Nevada County Diaper Project announces the appointment of a new director, Denise Franklin Haynes, who will assume the responsibilities of founder and director, Cathy Fagan. Denise has lived in Lake Wildwood full time for two years now and is actively involved in many of the clubs and activities in the community These include Pickleball , Garden Club (2nd Vice President); Lake Wildwood Women’s Club (raffle co-chair); Collectabelles; Bunco group, Book Club, and a weekly Prayer Group. She came from Pleasanton, CA where she retired from the job of Office Manager for a CPA firm. Denise and her husband John have a blended family; between them there are 6 kids and now 7 grandchildren (the light of their lives) ranging in age from 16 to 21 months, and they have two Standard Poodles. Denise and John started the Zoomies Airport Shuttle Service 11 months ago, and between trips from Lake Wildwood to the Sacramento Airport they are active in Twin Cities Church and have delivered diapers every month to the various distributors throughout Nevada County. Denise has been looking for a volunteer position and the NC Diaper Project fit the bill. 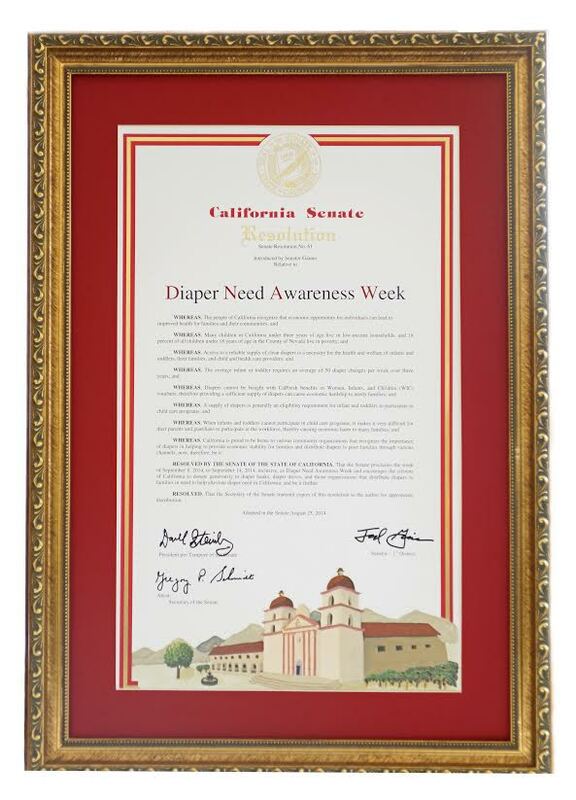 Volunteers willing to help wrap or deliver diapers can contact Denise at 925 998 4797. The Assistant Director will work along with the Director in operation of the diaper project for at least one year with the end purpose of assuming the role of Director in the future. This is a volunteer position. The Director is responsible for overseeing the monthly distribution of diapers to distributors, maintaining records of the inventory, filing year-end tax forms, applying for grant money, and overall publicity with regard to fundraising. The average time per week expended on these activities is approximately 3 hours. Computer skills are a must. We presently use Microsoft EXCEL for the inventory records, Microsoft WORD for documents, and Quicken for our financial record keeping. 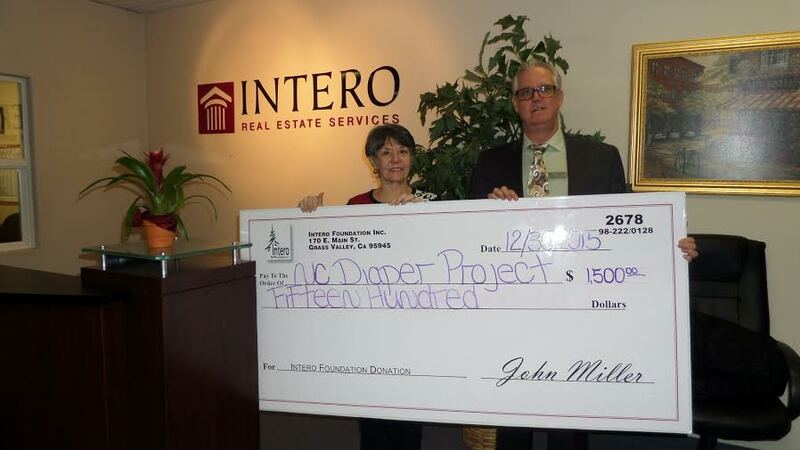 This is a small, but important, non-profit that has served Nevada County families since 2009, and we want to insure the continuation of the distribution of diapers in our county. 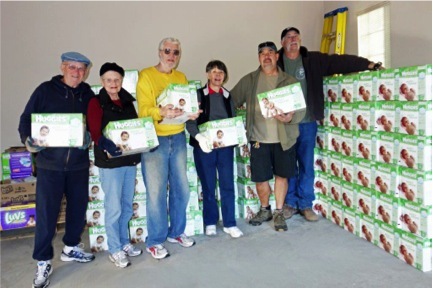 When the Nevada County Diaper Project received news that they were the recipients of a large donation of diapers from the National Diaper Bank Network that manages Huggies’ Every Little Bottom Program, it all seemed like good news. It was only after learning that the diapers were in the Los Angeles area, and had to be transported to Penn Valley within a week over the holidays that turned it into a real challenge. Undaunted by what seemed insurmountable obstacles, Cathy Fagan, Director of the Project, got on the internet to find out what options were available to transport the three pallets of diapers at a minimal cost over the holiday season. Freight Quote searched its database and found a trucking company that would do the job at a reasonable cost and could work with the limited pickup schedule. However, they needed a commercial receiving dock in Penn Valley to receive the three pallets, after which, the diapers had to be transferred to the storage unit in Lake Wildwood. What began as a one-person challenge soon became a community project. Scott Gutierrez of True Value Hardware stepped up to offer their loading dock and forklift to receive the shipment. Then Mike Mastrodonato of Penn Valley Storage offered to transfer the pallets to their final destination. On delivery day, both businesses worked together to get the pallets of diapers to the storage unit in Lake Wildwood. After Bob and Diane Hall, Bill Fagan, Mike Zimmerman, and Mike Mastrodonato unloaded and stacked the boxes, the volunteers who package them moved in. Paula Bertness, Joan Nio, Kris Gardner, Tammy Giles, Gerry Cosby and Ginny Herron picked up their cases, got the diapers wrapped and ready for delivery to the distributors. It was pure teamwork. The Nevada County Diaper Project wishes to thank all of these volunteers for caring enough to donate their time and talent to make this transfer a success. Without this kind of cooperation, the project wouldn’t exist. The community diaper drive that was the chosen project of the Nevada County Community for Obama’s National Day of Service was a huge success. 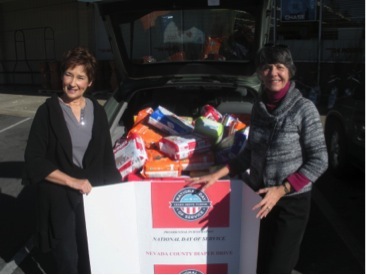 Cheryl Cook and her team of volunteers manned booths at three locations: SPD of Nevada City, Raley’s and CVS Pharmacy of Grass Valley, and collected 4,000 diapers and $930 in cash for the Nevada County Diaper Project. This will supply diapers to young mothers in the county for two months. 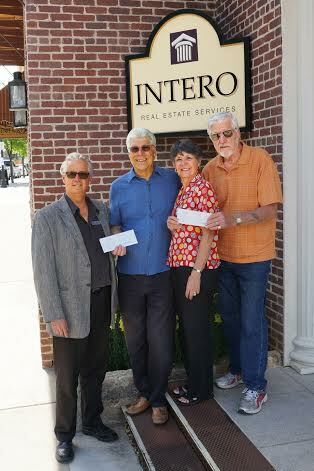 Many thanks go to Cheryl and her volunteers for their time and effort, the managers of SPD, Raley’s and CVS Pharmacy for the use of their store sites, Mike Dobbins of The Wildwood Independent for his donation for the printing of flyers, and to the residents of Nevada County who so generously contributed both diapers and cash to the project.